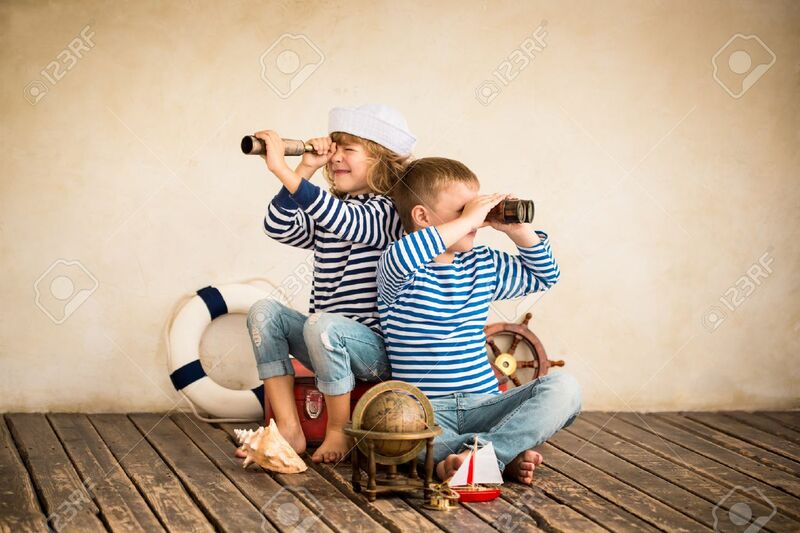 Children Playing With Vintage Nautical Things. Kids Having Fun At Home. Travel And Adventure Concept. Retro Toned Image Royalty Free Fotografie A Reklamní Fotografie. Image 37128340.